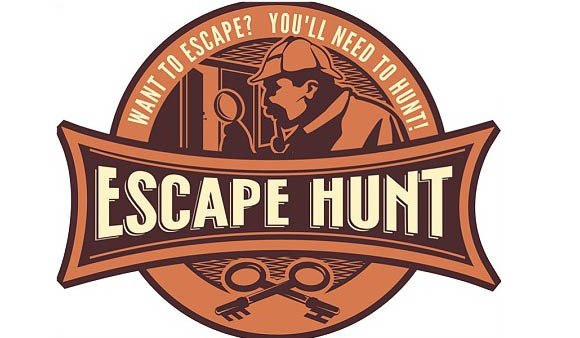 See here for our September 2014 review of Escape Hunt Sydney. The Escape Hunt Experience is a fantastic interactive attraction in Central Bangkok – a luxurious themed adventure set 100 years ago where you and your team play the part of a famous London detective solving the greatest murder mystery of your lives in old Siam. You need to use all your skill as a team to find clues and solve puzzles against the clock – only then can you escape! If you like solving puzzles Escape Hunt really is a joy – but beyond the basic concept it’s impossible to describe without spoiling the experience. Basically you, after a briefing, are put into a closed room. You search among the items in the room for clues. Those clues lead you to further clues, keys to other rooms, combinations for locks and so on. All the while the clock is ticking, giving the whole experience an edge. If you get stuck you can use time to ‘buy’ help from the staff so there’s no possibility of getting completely lost. The one we did was pitched at almost exactly the right level of complexity to be challenging, yet achievable, in an hour. If The Escape Hunt Experience can manage to replicate the overall experience in Sydney it will be a great additional to the range of local activities. The Bangkok version is currently the number one activity on Trip Advisor. The gory details like pricing, where it will be and how they go about ‘Australian-ising’ it will obviously make a difference and we’ll have to wait to see how they are handled. I’m looking forward to giving it a try. More details have emerged since this article was published including address and pricing.